Transforming a former factory space. The project team included Anu Virtanen, Elissa Ernst, Georg Sedlbauer, Johanna Frondelius and Katherine Johnson. 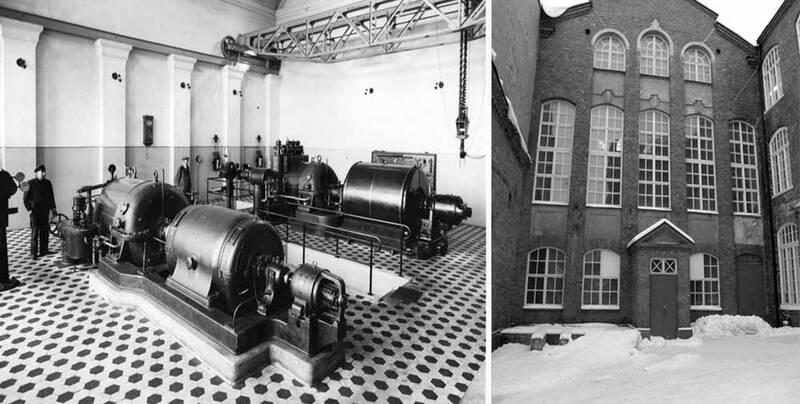 The old steam turbine room which generated the power for the mill and an outside view of what the spot looks like today. 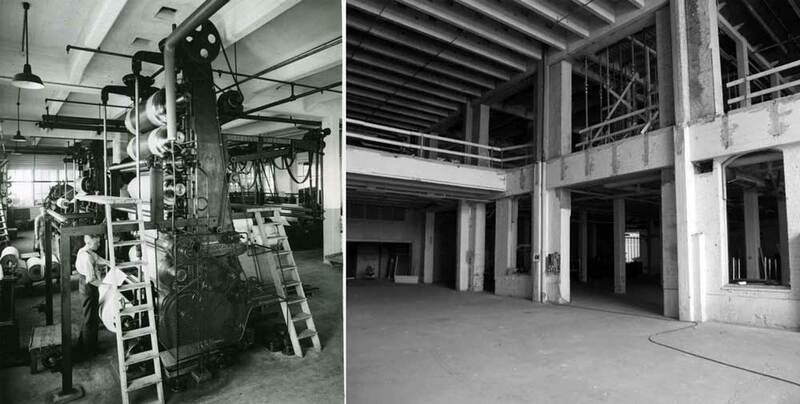 Carding which was the heart of the spinning process is shown in the photo on the left of the old carding room of the mill which now occupied by Prizzway Corporation’s office. The roving room from the new mill was located where the Satakunnan Kansa newspaper’s customer service desk is now today. * Satakunnan Kansa picture: Heikki Tyynysniemi. * This is to the best of the project team’s knowledge based on research. 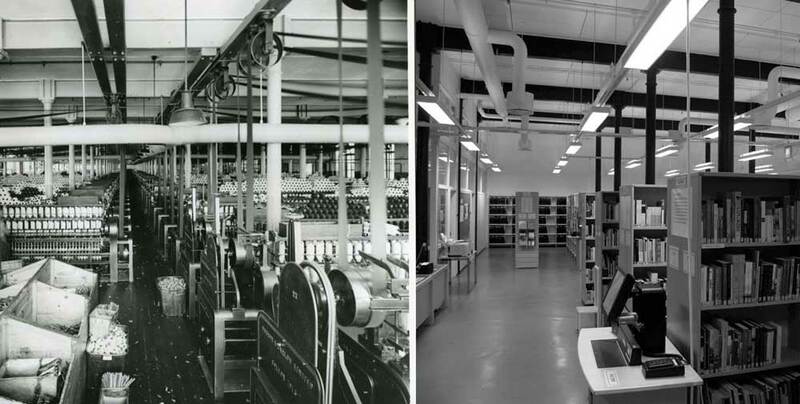 This photo show the utility boxes of spinning room which was staffed only by women. Now the old spinning area houses the library of the Tampere University of Technology. * Now instead of industrial machines the space contains shelves of books imparting knowledge. * This is to the best of the project team’s knowledge based on research. 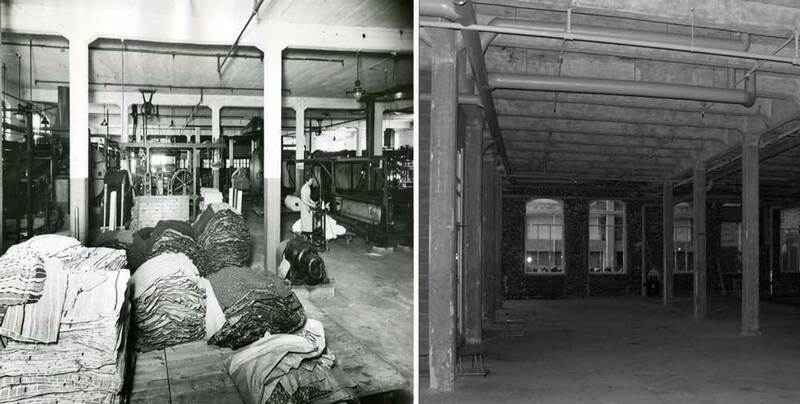 Part of the yarn that went on sale was packaged in the former bundle room. Today this part of the factory is the University Consortium of Pori. This is to the best of the project team’s knowledge based on research. The old weaving shed is now a parking lot for the Porin Puuvilla complex. Huge water mangels for bleaching as shown on the left were once located where today the Northern Healthcare Center of Pori stands. Freshly woven cotton needed further finishing processing shown in the former finishing area. Today this space is a construction area for a future shopping center. Calendering created a smooth, polished and embossed effect as shown here on the left. The former calendering area is today stands empty marking the additional changes yet to take place in the former factory spaces. Great Post. I certainly liked the content material. You presented all of it in a simple to grasp readable format. Its challenging to get articles on this subject matter that presents any new strategies. Thanks. Thank you! I, and the whole team are glad to hear that you have liked our webpage. It really was a challenge to get everything done and in a compact way.